Are our children even interested in cars anymore? If yours are, chances are they have their eyes on these two; the Subaru BRZ and Ford Focus ST, hot rods for the 21st century. 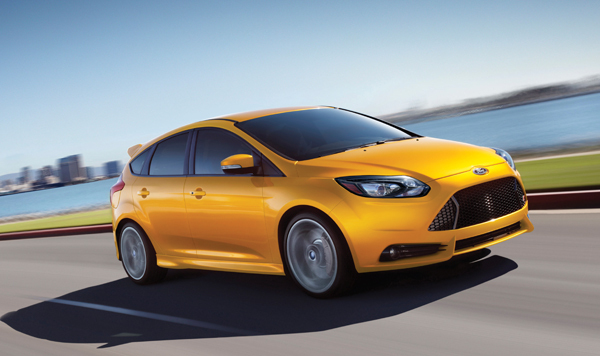 With 252 horsepower from at 2.0-liter Ecoboost engine, a 6-speed quick shifting transmission, model specific front fascia and rear spoiler, leather Recaro bucket seats, beefed up suspension and steering and an EPA-estimated rating of 23mpg-city and 32-highway, the Focus ST is what most car lovers drool over. At least we do. Whether you’re a recent college grad or going through a mid-life crisis, this little screamer is also easy on the pocket book with a starting price of $24,115. Tack on extras like navigation, special paint, a few other goodies, plus shipping and you’re still under 30 grand. With sports car handling and more power than most would ever use, this Ford hot rod sedan easily scores 5 out of 5 stars in our book. Let’s not forget that grown adults actually fit in the back seat. There’s ample storage inside the hatch and with the seats folded down, a trip to see fall color, with a couple of steamer trunks tucked inside, will be a cinch. We even liked the Tangerine Scream paint color. This is one road rocket that gets two thumbs up. Weighing in at a paltry 2,762 pounds, the Subaru BRZ has received some pretty substantial ovations from fellow journalists. Not only for its all new design, rear-wheel drive configuration and good looks, but it seems to have hit the sweet spot in affordability, competitive handling and decent fuel mileage. These are the same attributes that helped the Mazda Miata become the go-to car for weekend autocross competitors. 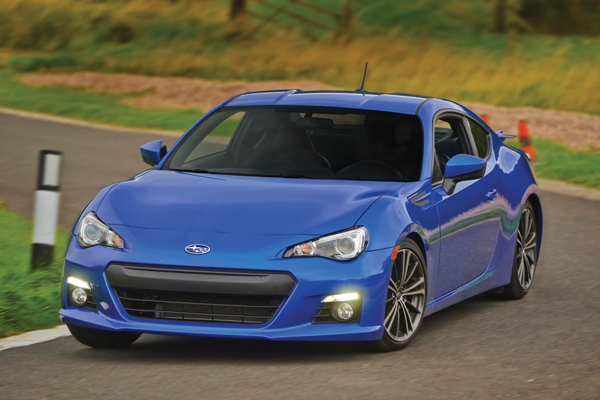 Powering the BRZ is Subaru’s FA-series 2.0-liter Boxer engine. It delivers 200-horsepower through a 6-speed manual or automatic transmission. EPA mileage is rated at 25-MPG combined. The horizontally opposed 4-cylinder configuration allows the power plant to sit much lower in the engine bay than the typical, upright in-line, motors found in most other vehicles. This is important to handling and allows the BRZ to corner like a race car, since the center of gravity is a very low 18.1-inches. Its shape is classic sports car while retaining a 2+2 seating configuration. There are two trim levels, Premium and Limited.